Grand Budapest Hotel walked away with numerous awards Sunday night during the ceremony for the 87th Academy Awards. It's another symbol of Hollywood auteur Wes Anderson's place in our culture and of the artistry of the teams he assembles again and again. 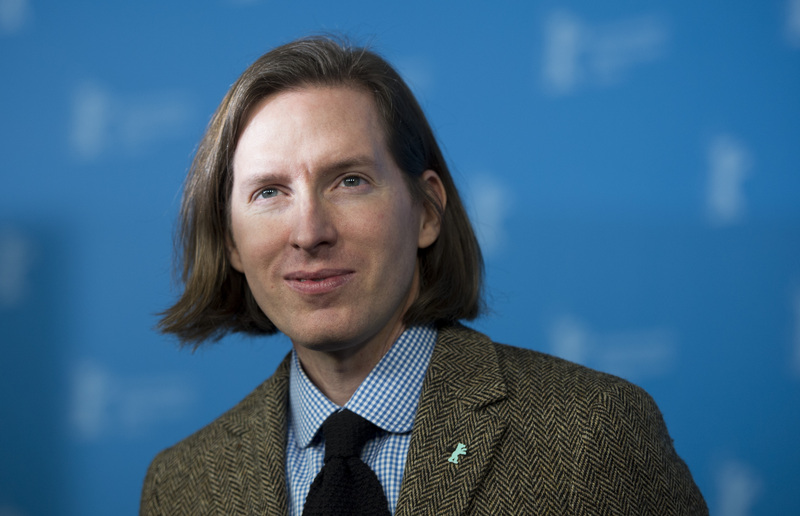 It also gave us a great glimpse into something else great: Wes Anderson himself. Or, more specifically, Wes Anderson's clap. Anderson reminded the world Sunday night that not only is he an artist who delivers over and over again, but that he also claps with his whole arms. And that that is pretty delightful, kind of like a real-life homage to Anderson's famous use of symmetry. It also shows his enthusiasm for his entire team's success with the kind of special quirk that defines his films. It also inadvertently made Anderson the mascot of the night when it comes to representing unabashed enthusiasm. There was something so sweet about his clapping, after all, something that made me want to join in and — as I often feel when watching his films — go on this journey with him in his own special world. #AskHerMore, the campaign to get reporters to ask actresses less image-focused questions on the red carpet. Jurassic World. I mean, there's a raptor gang involved. #HeForShe. You know he loves it. This hug between Emma Stone and Jennifer Aniston. JK Rowling promising a patronus test on Pottermore soon. The Marvel Chrises. Evans and Pratt are everywhere and they're beautiful. Lupita Nyong'o. Just because she's her. That amazing Oscars opening number. Wes Anderson just recognizes the beauty in the world. And I recognize the beauty in his majestic clap.